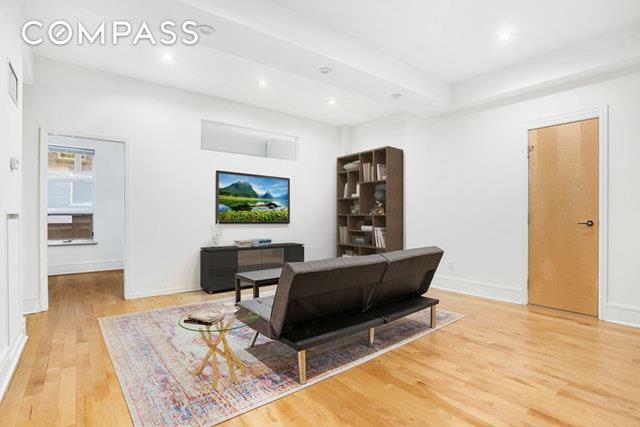 The best combination of space and value in Dumbo, Brooklyn. 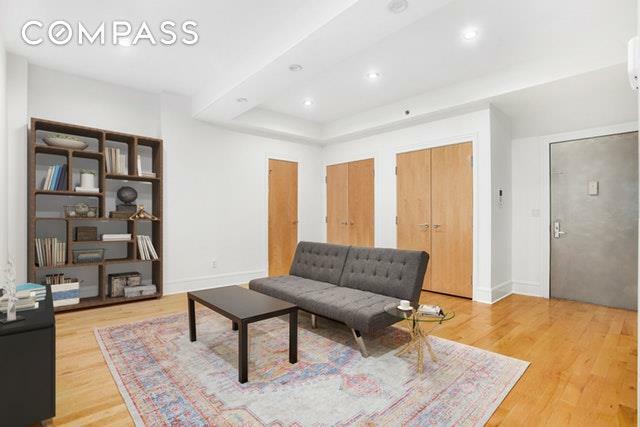 Located at 57 Front Street, a boutique condominium building in Brooklyns much sought after waterfront district, this large loft-style, converted two bedroom, one bath apartment has a rambling floor plan that lends itself to many options, with the feeling of a true home. At almost 1100 square feet, this L-shaped unit is quiet and tranquil, with a spacious living and dining area and a sleek kitchen with premium soapstone countertops and Bosch + SubZero stainless steel appliances.The spacious master and second bedroom feature oversized windows and custom-built closets. 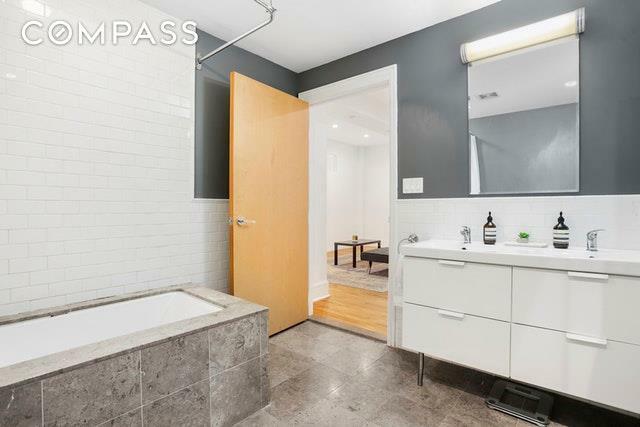 The spacious bathroom offers double sinks with vanities and a deep soaking tub. There is also the added convenience of a large, privately deeded storage space and the option for easy installation of a washer/dryer in the apartment.The Riverfront Condominium is a full-service boutique residence with part-time concierge service, a fitness room, laundry room, bike room, private storage space and common rooftop terrace. There is also a tax benefit with the transferable J-51 tax abatement for this unit until 2022. Just moments away from beautiful Brooklyn Bridge Park and many great cafes, galleries, and boutiques, DUMBO is the first stop in Brooklyn via the F, A, C, 2 and 3 subway lines. 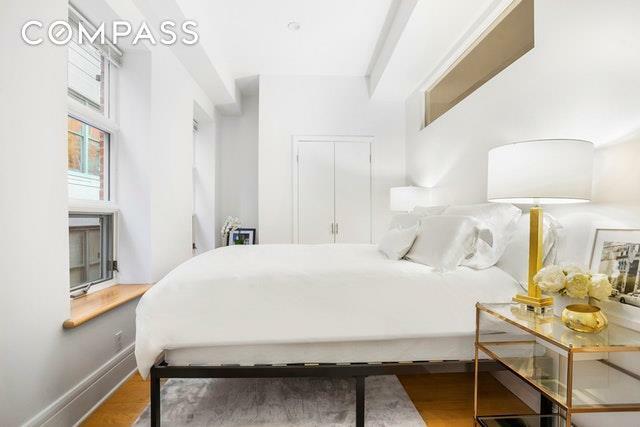 *Please note it is a legal 1BR in the offering plan and that some of the images are virtually staged. Listing courtesy of Katherine Camp of Compass.